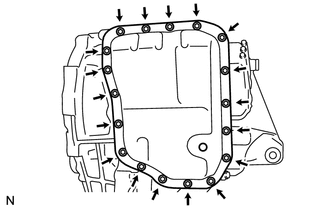 (a) Remove the 18 bolts and automatic transaxle oil pan sub-assembly from the automatic transaxle assembly. 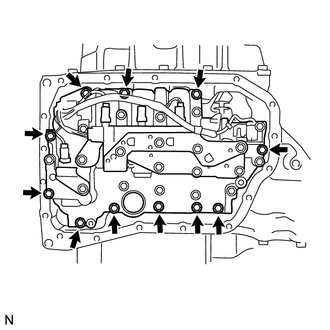 Some fluid will remain in the automatic transaxle oil pan sub-assembly. Remove all the bolts, and carefully remove the automatic transaxle oil pan sub-assembly. 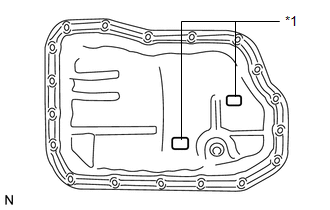 (a) Remove the automatic transaxle oil pan gasket from the automatic transaxle oil pan sub-assembly. 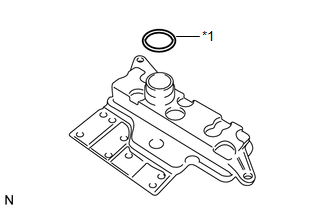 (a) Remove the 2 transmission oil cleaner magnets from the automatic transaxle oil pan sub-assembly. 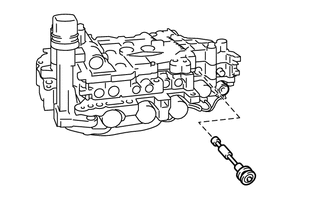 (a) Remove the 11 bolts and transmission valve body assembly from the automatic transaxle assembly. When removing the transmission valve body assembly, be careful not to allow the speed sensor and the automatic transaxle assembly to interfere with each other. 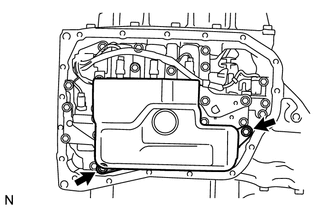 (a) Remove the manual valve from the transmission valve body assembly.